Justice Clément Gascon is retiring from the Supreme Court of Canada this fall, and the Liberal government says it plans to name his replacement before the fall federal election campaign officially begins. "We will trigger the process in the coming days. So that means yeah, the goal is before the next election because otherwise it will actually ... leave an empty seat for about a year," said a spokesperson for the Prime Minister's Office. Gascon will step down officially from his position on Sept. 15, the last day in the calendar year that the Liberal government can call a federal election before the Oct. 21 poll. The PMO spokesperson said the government wants his replacement named by then. Newfoundland's Malcolm Rowe was named to the position Oct. 17, 2016, more than six weeks after Justice Thomas Cromwell retired on Sept. 1 that same year. "I consider it a privilege to have been able to contribute over the last 17 years as a member of the Canadian judiciary," said Justice Gascon. "It is an immense honour to have been part of a judiciary that, by its expertise, quality and independence, is a model in Canada and around the world. I remain profoundly grateful to all those who put their trust in me over the years." While Gascon officially steps down this fall, for an additional six months he'll be allowed to participate in decisions on cases he heard while sitting on the top court. "Justice Gascon has made a significant contribution to Canada and to Canadian jurisprudence during his judicial career," said Chief Justice Richard Wagner in a statement. "His thoughtful, rigorous and collegial approach has always helped us get to the heart of the most complex issues. He has served Canadians with integrity and wisdom. All of his colleagues will miss his commitment and friendship." Shortly after Gascon's announcement, Prime Minister Justin Trudeau took to Twitter to say that former Conservative prime minister Kim Campbell would lead an advisory board to choose Gascon's replacement. Under the new process for selecting Supreme Court justices, Campbell and her independent advisory board will submit a list of three to five candidates for consideration. The selections are not binding on the government. Former Prime Minister Kim Campbell will once again lead the Advisory Board to select a new appointee, as part of a non-partisan, transparent, and merit-based process. Thank you <a href="https://twitter.com/AKimCampbell?ref_src=twsrc%5Etfw">@AKimCampbell</a>, for your important work ahead. The short list will then be reviewed by a list of interested parties, including the chief justice of Canada, provincial and territorial attorneys general, relevant cabinet ministers, opposition justice critics and some House of Commons committees. After that consultation process is over, the justice minister will present recommendations to the prime minister, who will then choose the next justice. Conservative MP Lisa Raitt issued a statement thanking Justice Gascon for his service, saying he has "served Canadians with his wisdom, dedication and professionalism and we wish him well in his retirement." Raitt also said that before kicking off the process to replace Gascon, the federal government should investigate leaks earlier this year that revealed Manitoba Justice Glenn Joyal was being considered for the top court the last time around. "The Trudeau government has repeatedly refused to investigate these leaks, including during an emergency meeting of the Justice Committee last week," Raitt said. "Restoring integrity and confidence in the judicial selection process must be a priority, as it may discourage highly qualified individuals from applying. Conservatives are calling on the Trudeau government to immediately undertake an investigation before launching the Supreme Court selection process." Opposition parties have been calling for a probe of the leak since Mar. 25, when reports by CTV and The Canadian Press revealed that Trudeau and then-justice minister Jody Wilson-Raybould were at odds in 2017 over whether Joyal should be appointed to the Supreme Court. On Tuesday, Conservative Leader Andrew Scheer wrote Trudeau, calling on him to ensure PMO staffers Katie Telford, Mathiew Bouchard and Elder Marques have no role in selecting Gascon's replacement. He also said he wanted Trudeau's former principal secretary, Gerry Butts, to be kept out of the process. "I would also remind you that it would be completely inappropriate for Mr. Gerald Butts, now a private citizen, to be involved in the process," Sheer said. 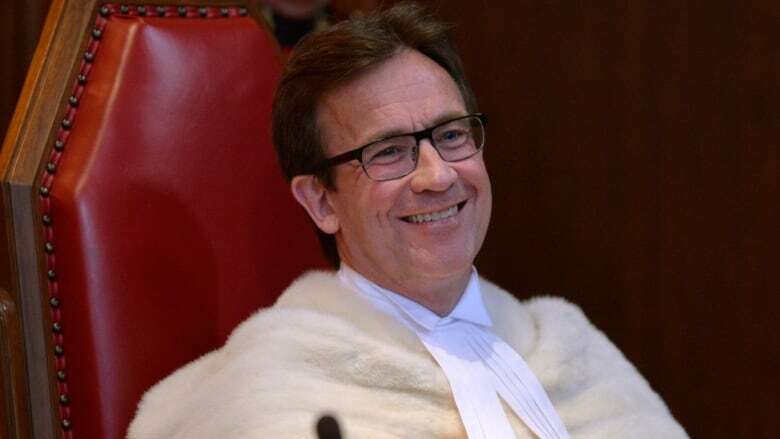 Born in Montreal in 1960, Gascon was called to the bar in 1982 and went on to practise law for 21 years at Heenan Blaikie, the now-defunct Montreal law firm that also employed former prime ministers Jean Chrétien and Pierre Trudeau. Gascon taught business, labour and construction law at the Université du Québec and McGill University and for the Quebec bar. He was appointed to the Quebec Court of Appeal in 2012 after having served on the bench of the Quebec Superior Court from 2002. Gascon's appointment brought to an end one of the more controversial forays into judicial appointments to the top court by former prime minister Stephen Harper. In 2013, Harper appointed Marc Nadon to the Supreme Court. A controversy ensued over the fact that Nadon was semi-retired, specialized in maritime law and had lived outside Quebec for almost two decades. While the controversy unfolded, Nadon did not hear cases. By the spring of 2014, the remaining seven justices on the Supreme Court voted 6 to 1 that Nadon did not qualify for the position, despite being a Justice with a solid and recognized legal reputation. Gascon, a choice that was not contested, was swiftly installed in his place without the customary formal appearance before a parliamentary committee. The federal government, however, said it consulted with the Quebec government, Quebec's chief justice, the chief justice of the Quebec Superior Court, the Canadian Bar Association and the Bar of Quebec before appointing Gascon. Unlike Nadon, Gascon was welcomed by then-chief justice Beverley McLachlin, who called Gascon "a distinguished jurist" and praised Gascon's extensive expertise in commercial and civil law. The Bar of Quebec also backed the appointment, issuing a statement that said Gascon's appointment to the top court was "excellent news" for Canadians. Liberal MP Stéphane Dion at the time called Gascon "a well-regarded judge." Former NDP MP and justice critic Françoise Boivin said Gascon was "a stellar" appointment with "a great reputation."